I see the shimmering light of the silvery moon shining down on me. 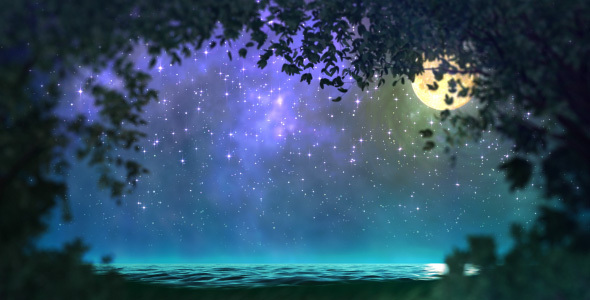 I look at the glittering glow of the stars as they dance in the evening sky. I hear the singing of the trees as they echo in the midnight breeze. I sit by my table. Wonderful thoughts running in my mind. and turn my little angel lamp on. Dim yellow light surrounds my room. Ah, this feeling of serenity, a feeling of silence. This is my little me-time. My moment. Looking out the window and writing down all my heart’s desire. What more could I ask for when what I see is so damn priceless? I call this my Moon Window. It’s where the beautiful Moon peeks at me when I’m asleep at night, shining down the brightest of its beam to wake me up in the midnight hour, making me think that a night as wonderful as this should not be wasted by sleeping. I stand up, leave my comfortable bed and my sweetest dreams behind, to follow and enjoy the most amazing sight that only Mother Nature can give. I welcome the Moon in my window and thank her for her presence. I walk outside and sit down the pavement. and think to myself, how peaceful life can be when all I can hear is the sound of the wind and all I can smell is its sweet angel breath.